This one’s only for members, but you're allowed to show up and try it once (wink) for 150rmb during the week. 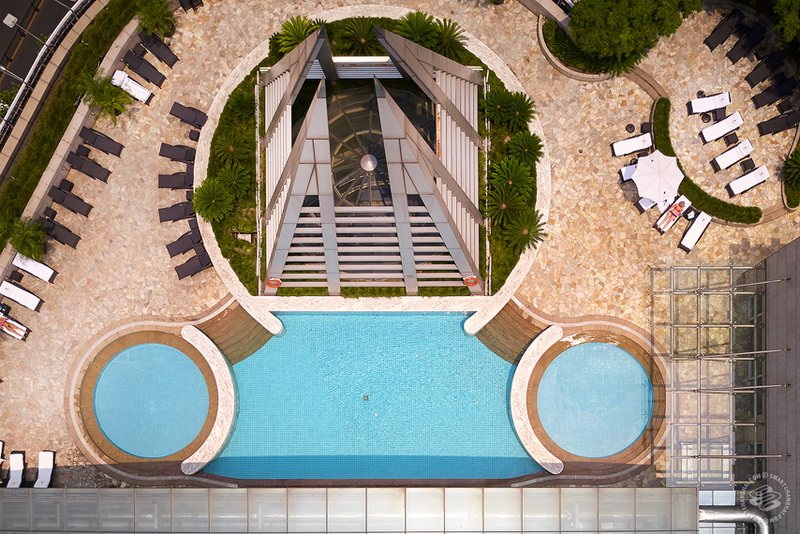 On weekends access to the outdoor and indoor pool is reserved for members. You can do a year membership for 7,000rmb or half a year for 5,600rmb. 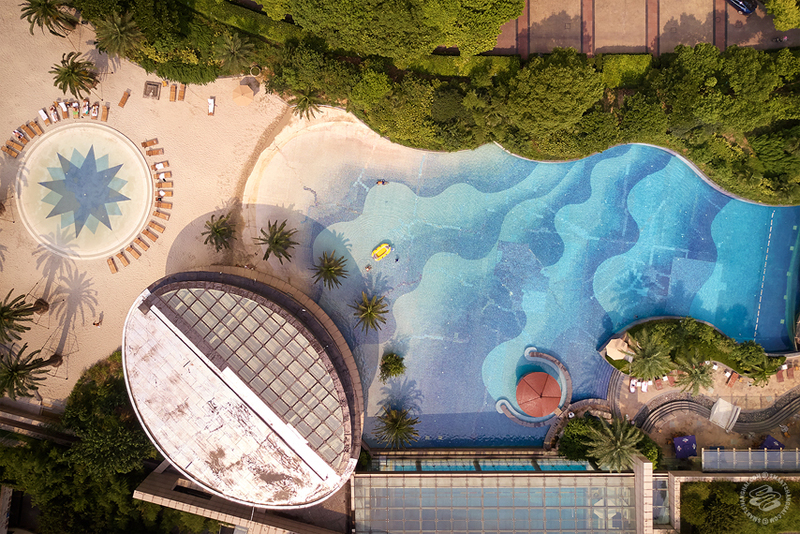 But the pools are just alright and usually pretty packed, so maybe try it out once before committing.The indoor pool opens from 6:30am-9pm on weekdays, 8am-9pm on weekends. The outdoor pool is open from 11.30am-7pm on Mondays, 9am-7pm the rest of the week, but 8am-7pm weekends. Only need a swim cap in the indoor pool, and no health check necessary. The outdoor pool opens in May closes at the end of September. This one’s a cheap option, but it comes with some stipulations. It's in a nice apartment complex that's only free for residents. Non-residents can get in for 25rmb before 5pm, and 35rmb after, for a couple of hours of swimming, though it's irregularly enforced. Plus there's an additional 6rmb for a mandatory health check. You need a swim cap, but like the time limit, it's irregularly enforced. Pools open for business daily from 9am till 10pm, from mid-June to the end of August. FYI, it can be a bit tricky to find; check the venue listing for a detailed description of how to get to it from the taxi-drop off and/or the nearest metro. 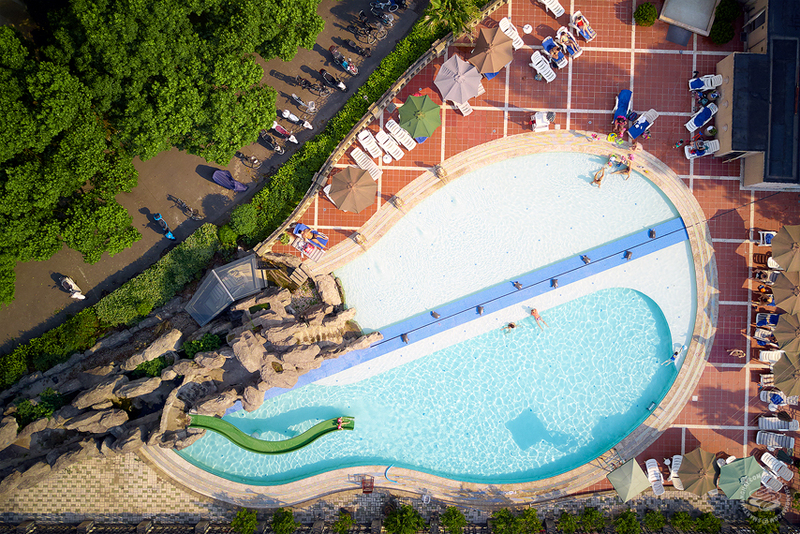 This place isn’t just a pool, it’s got slides, a wave pool and a lazy river for tubing. But be prepared for crowds and lines that make you want to cry. No outside food or drink, so bring some snack cash. Tickets start at 180rmb per person during the week and 220rmb on weekends. No swim cap needed, but they do require a health check. 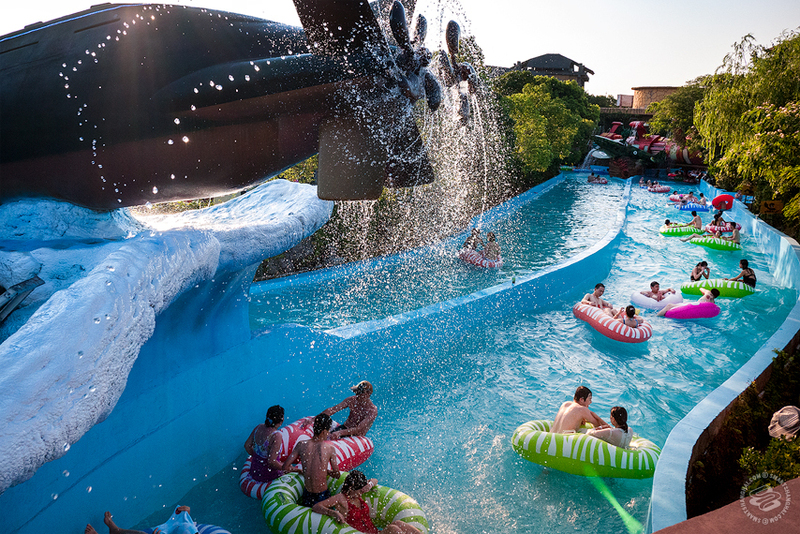 The fun goes all day long from 9am-10pm daily, starting from late June to the beginning of September. 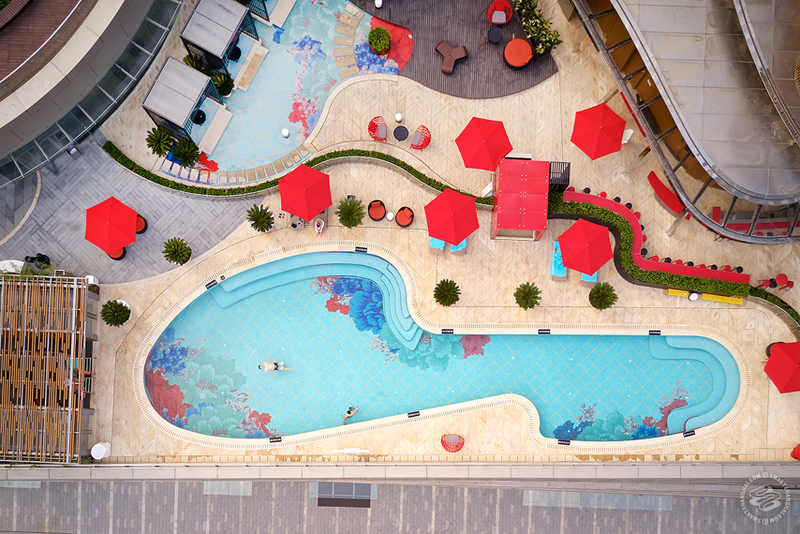 This rooftop pool’s central in the middle of downtown, but it’s a bit pricey. The pool itself is underwhelming, a bit shallow, but there's lots of space to lounge and drink. For non-hotel guests it's 280rmb per day and 150rmb for kids between 1-14. There’s also a pool-gym option for 380rmb. 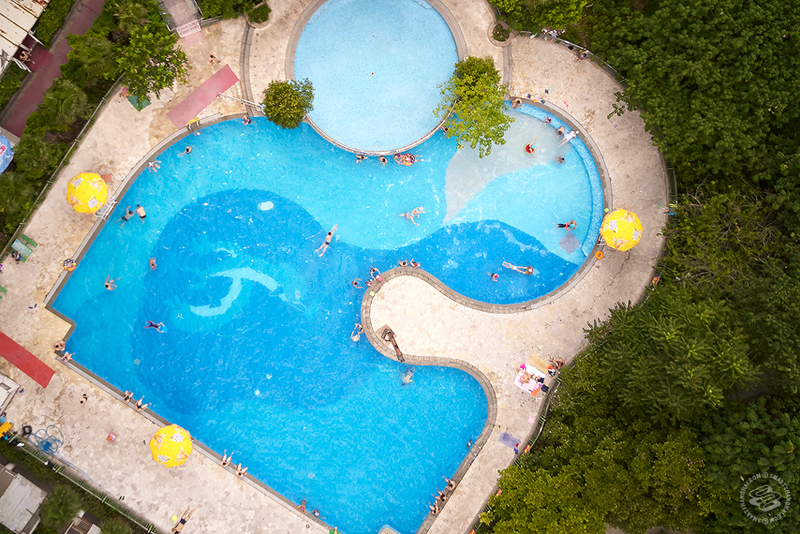 Summer 3-month memberships for pool-gym access will set you back 5,950rmb. No cap, or health check necessary. This is a ritzy place. The outdoor pool is open from 6am-11pm and closes at the end of October. 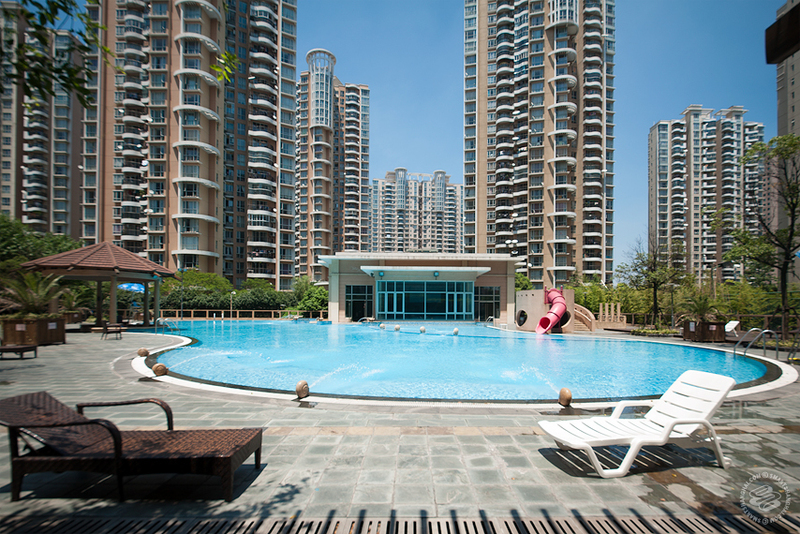 A bit ratchet on the weekends, this Hongqiao pool is a favorite for laowais who move in packs. It tends to get pretty crowded, and unless you go early you probably won’t find a seat. If that’s not your thing, it’s quieter on the weekdays. This one costs 100rmb for a day pass, 60rmb for kids under 1.3 meters, and is free for babies. No health check needed and you can leave your swimming cap at home. They're open daily from July 1 to September 30, from 10am to 8pm. You may have noticed this one the last time you dined at Maya. It’s a decently sized pool in a nice apartment complex, and it’s open to everyone. For non-residents a day pass will cost you 100rmb Monday-Friday and 150rmb on the weekend. It’s 50rmb for the little ones (under 1.2m). The sun is blocked off a bit by surrounding apartments for part of the afternoon, so this one’s good for some pool-side lounging. Especially since you can bring your own snacks and drinks. No health check needed, apparently you do need a swim cap, but it's not strictly enforced. Open from 9am-9pm daily. They're open year-round. 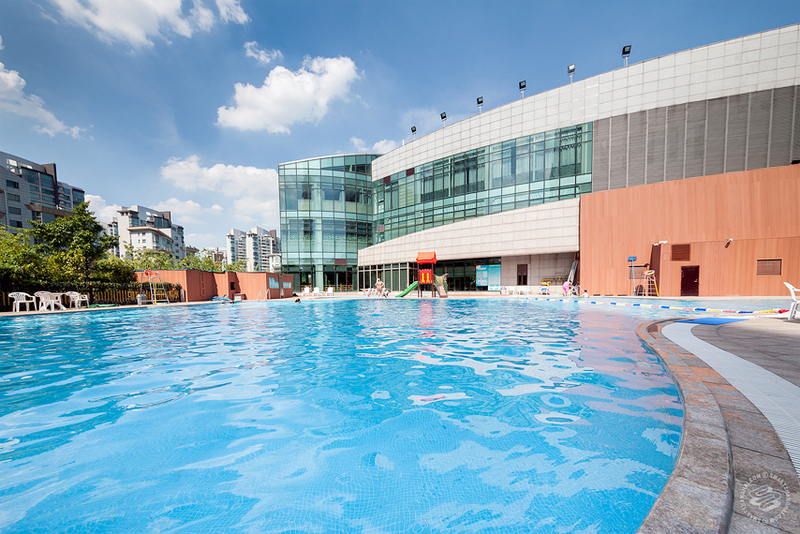 Korean bathhouse New Star has got outdoor pools at its Hongqiao and Pudong locations. 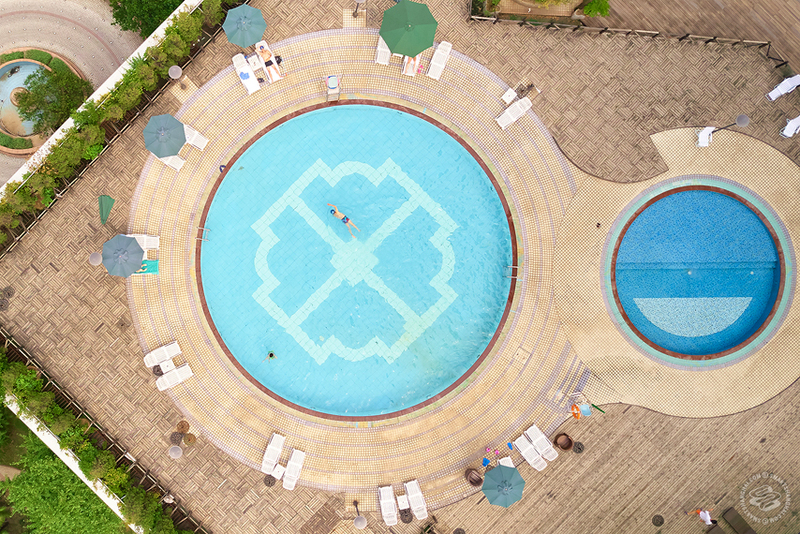 Open to the public, a 98rmb fee gets you an all day pass to the outdoor pool and indoor baths, 40rmb for anyone under 1.4m tall, free for those under 90cm. Swim caps are a must, and a health check is required at both locations. 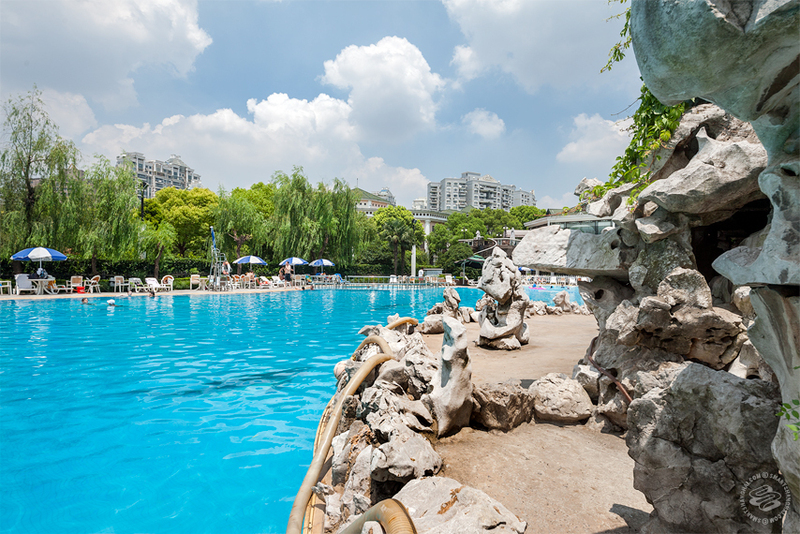 The Hongqiao pool is a bit smaller than its Pudong counterpart, but both are held to high sanitary standards. Also, both are a popular weekend spot, so they tend to get a bit crowded Sat-Sun. 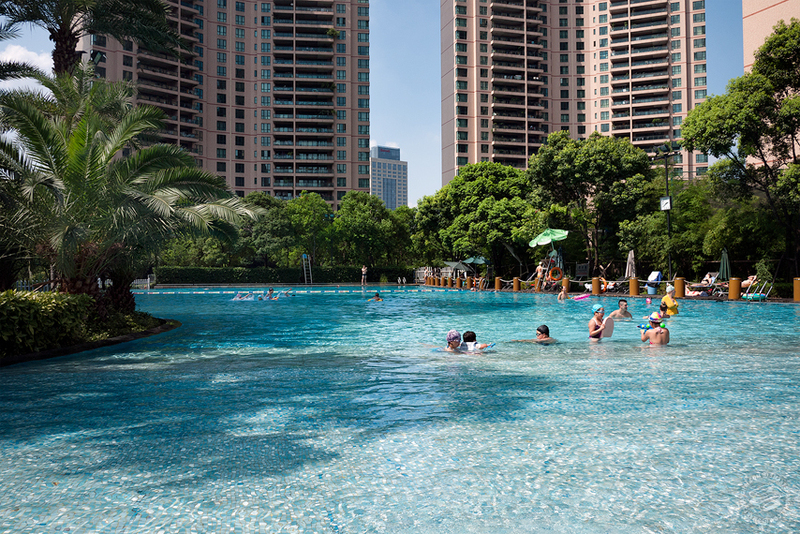 Starting in mid or late June, the outdoor pools are open from 8am-8pm everyday, except public holidays, and will stay open till mid-September. This one’s got space, in and out of the pool. A rare thing for our city and so it’s a bit pricey at 200rmb on weekdays and 300rmb on weekends. 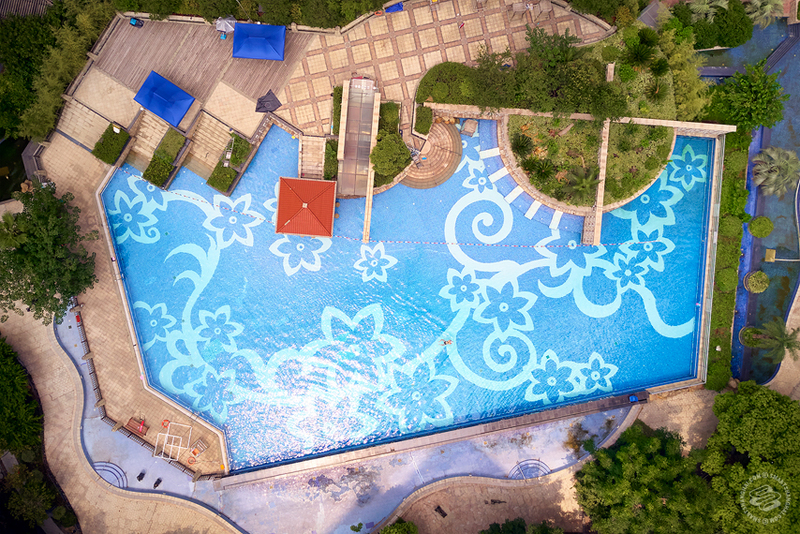 If you really like it, you can get a half-year membership for 6,000rmb for just the pool, which stays open from start of May to October. No health check or caps necessary, they said this year, but last year they did. Just FYI! This pool’s got nice space for lounging and a small slide for the kids. It used to cost 70rmb a person for the day, and children under 1 meter would get in for free, but they've been under new management since last summer and the details continue to be a little iffy. At your own risk be it. Party Pool, this one has been hosting shindigs from the likes of Riveria since 2005. 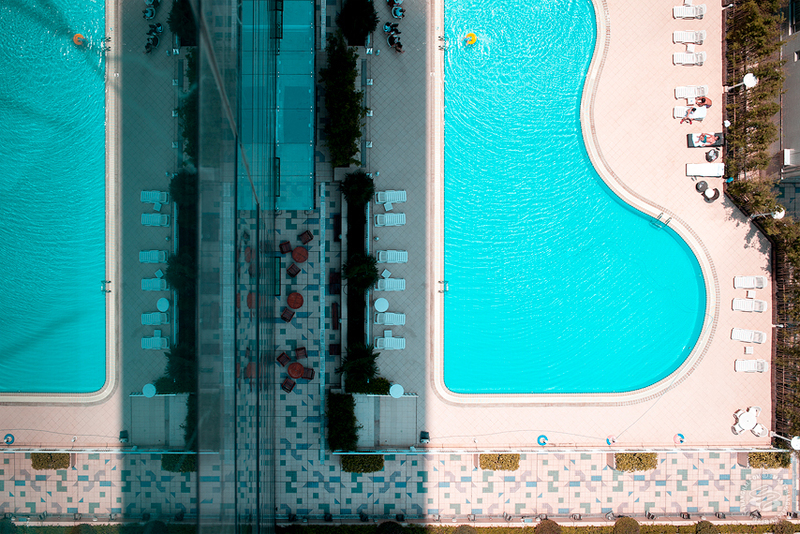 Large pool, with good city views, it’ll cost you 200rmb per person for a day pass. No health check, but swim caps are mandatory. Enforcement on this seems to depend on who’s working that day. Early info suggested they'd be open every day from 7am-10pm, starting in mid-June until the end of September, but it appears they've delayed the opening indefinitely. This one’s a go-to for the weekend warriors. The pool here’s quite beach-y with sand, rocks, trees and all kinds of pleasant stuff. To keep with the beach getaway-theme, they’ve got a bar near the pool. An all day pass costs 200rmb for grown ups and 100rmb for kids (under 1.2m). Swim cap needed, but no health check. The indoor pool is open 7am-10pm daily and the outdoor pool is open 10am-7pm. Opens start of June, closes at the end of September. This posh pool is open to hotel guests only but they do sell limited day passes. Monday through Thursday you can buy a day pass for 480rmb that’ll get you access to their outdoor and indoor pool, their FIT gym and a locker. From Friday to Sunday, it's 580rmb. 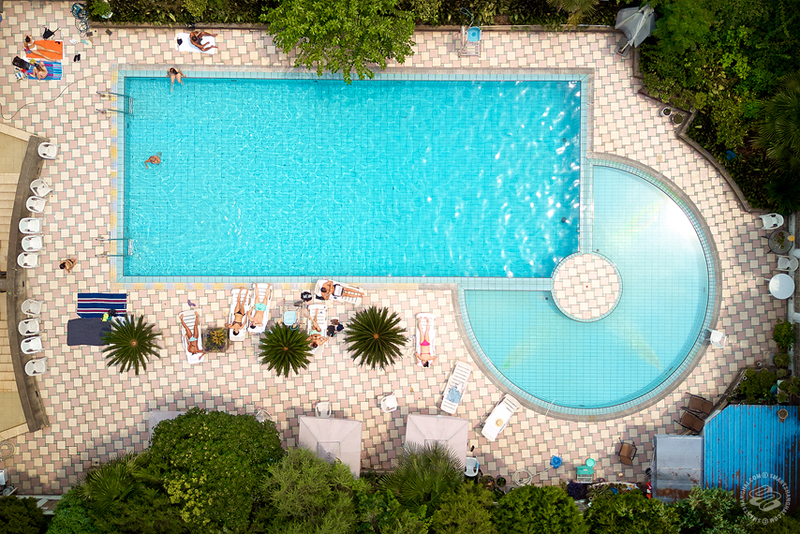 Heads-up, if they're having an event at the WET Bar, they're liable to lock the whole thing down since the pool is usually involved. The outdoor pool is open 10am to 6pm and the indoor pool is 6am to 10pm. For residents and costs 30rmb for an all day pass. We hear, they might be flexible on this. Maybe. Open all day from 9am-9pm. Both swim cap and heath check needed to swim.